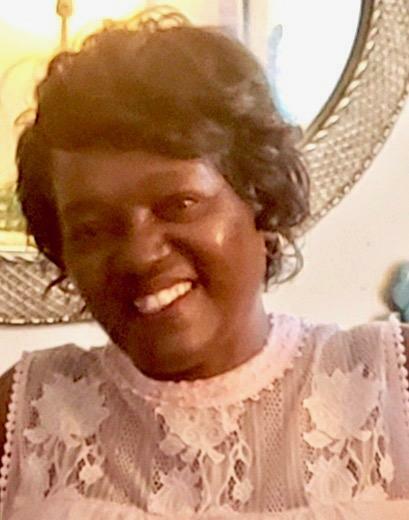 Sharon "Neise" Brazelton, age 58, began her journey in Heaven on April 14 2019. Sharon was a member of Greater Bush Grove Missionary Baptist Church. Preceded in death by her father, Gilbert Brazelton; mother, Ruth Ann Gillis and grandparents, Albert and Helen V. Dickerson. Survived by her son, Marquis (Deanna) Brazelton; daughters, Renadann (Deforest) Shell and NeSharon Payne; five grandchildren; one great grandson; sisters: Connie (Samuel) Martin, Gilda Faye Brazelton, Maria (Reginald) Proctor of Statesboro, GA, Terry Brazelton of The Colony, TX and Robyn Colbert; brother: Albert (Joetta) Colbert; uncle, Dan Harless (Jessie) Harper; a host of nieces, nephews, great nieces and nephews, cousins and friends. Friday, April 19, 2019, the family will receive friends from 12:00 p.m. to 1:00 p.m. with service to follow at Greater Bush Grove Missionary Baptist Church, 1455 W. Fourth Street, Knoxville, TN. Reverend Eugene Carter, Jr. will officiate. Flowers may be delivered to the church the morning of the service. The family will assemble at the home of Gilda Faye Brazelton at 1712 Iroquois Street, Knoxville, TN 37915. Professional arrangements entrusted to Patton Funeral Home, Brian L. Buckmon, LFD 1-800-824-8283 or www.pattonfunerahome1962.com.